Pork is a fantastic ingredient, particularly as nearly every single part of the pig can be eaten. Trotters, cheeks, hock, belly are all wonderful cuts that will give delicious pork dishes. 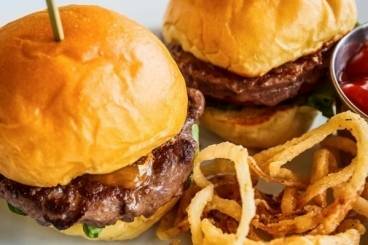 Try our chef's selection of recipes and learn to cook a huge variety of dishes in no time. Crisp spring rolls filled with pork mince, prawns, beansprouts, rice noodles and Thai basil. 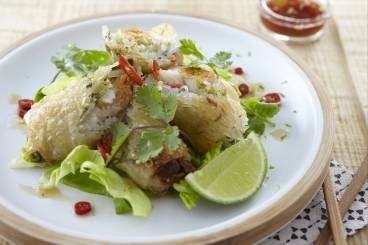 These spring rolls are served with nuoc mam sauce made with red chilli, lime, Thai basil, coriander and fish sauce. Pork fillet medallions sautéed in mustard with a shallot and tomato sauce, served with penne tossed in olive oil. Pork tenderloin slices 'en crépine' with fresh tarragon and mustard served on a bed of mushrooms, potatoes, carrots and shallots. Minced pork burger with chorizo spices served on a brioche bun with a smokey paprika mayonnaise. 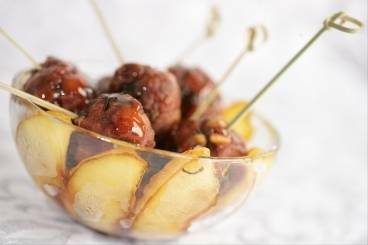 Delicious pork meatballs with mint, coriander and pine nuts. A quick and easy Japanese-style dish that is great for weekday dinners or even for impressing your friends with your international know-how! 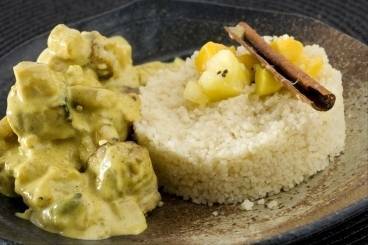 Pork cooked with mild spices, tropical fruits and coconut milk. 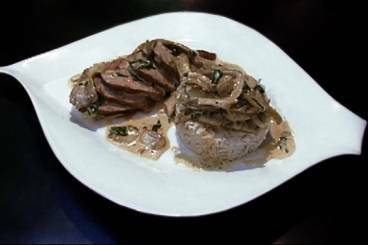 Pork tenderloin cooked in a creamy mushroom and mustard sauce served with cardamom and star anise scented basmati rice. 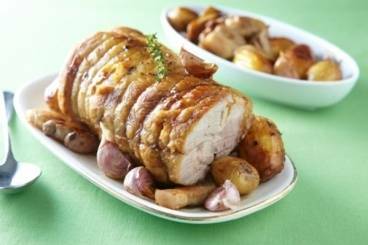 A delicious and rustic pork roast, with bacon and potatoes.